Most of us don’t think about our air conditioning until it quits working. When that happens, Chief Heating and Cooling is just a phone call away and services all brands. Our qualified technicians will promptly suggest the correct air conditioning repair at a reasonable price the first time, every time. Consider scheduled maintenance. 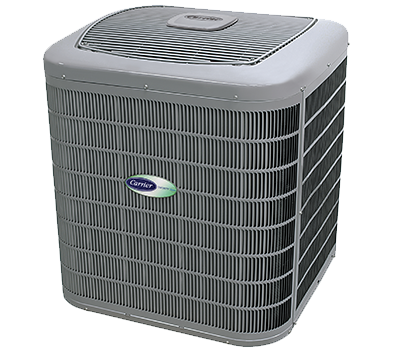 We can help make your current air conditioner or heat pump last years longer and operate far more efficiently with scheduled maintenance. Trust your air conditioning repair to Lee Summit’s one-stop solution central air conditioner service Chief Heating and Cooling. A more energy efficient air conditioning system replacement uses far less energy, reducing your energy costs by up to 40%. Combined with the tax incentives and rebates being offered, a new system can quickly pay for itself. Not only does replacing your older air conditioning unit with a new one save money on your utility bills, but you’re also helping the environment too. Chief Heating and Cooling technicians are well trained in new air conditioner installation. Call the pros at Chief Heating and Cooling to discuss what replacement option works best for your home and your budget. Plus, estimates are free.